Diyet was born in a tent and spent her childhood “in the bush,” or rather was brought up on the ancestral lands of her people in Canada’s Yukon Territory. 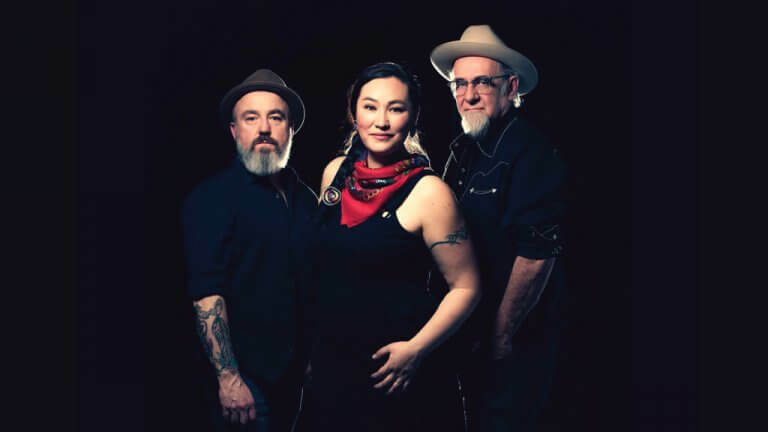 Coming from a family rooted in traditions but tempered with a good sense of adventurous hippie attitudes, Diyet has created a musical presence that is as diverse as her Southern Tutchone, Tlingit, Japanese, and Scottish heritage. She got her start singing on the school bus, went on to acquire a degree in music, and then became a published songwriter in Vancouver, B.C. When the pull of the North was too strong, she packed her bags and moved back to her village without a plan or even a pub to play in. The result of this unlikely career move has been international collaborations; touring in Canada and Europe; and three acclaimed albums (The Breaking Point, When You Were King) and 2018’s Diyet & the Love Soldiers.